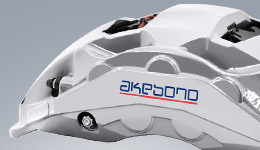 Corporate Brand Management | Corporate Mission | Corporate Information | Akebono Brake Industry Co., Ltd.
Akebono's Corporate Brand Management has been implemented since 2005 based on akebono's Corporate Mission and akebono's Declaration for the 21st Century. Akebono's Corporate Brand Management was created from the perspective of embracing our important stakeholders, customers, shareholders, clients, employees and the social community we come into contact most during the course of business. It is based on the viewpoint of heightening our corporate value by optimally balancing these relationships. Our brand statement was drawn up collectively based on key words of handmade, everyone is in the driver's seat, and be positive. 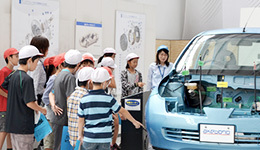 In addition, various corporate brand promotional activities take place. We aim at heightening our corporate value with each of our employees' voluntary behavior to strengthen the brand. pursue new standards of perfection with innovation. cease in the challenge to succeed in this goal. Putting a smile on people's faces all over the world. In order to continuously and actively carry out our Corporate Mission, the Brand Statement was established to provide a short-to-medium-term vision for how we should create and deliver value to society through our brake business. 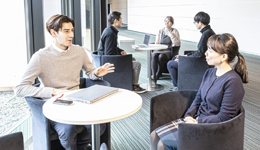 It is the result of varied and careful deliberation among our associates, and expresses a vision of what Akebono is striving to become in a simple and intelligible manner. The first paragraph encapsulates our history, devotion and the essence of our corporate DNA. It shows our total commitment to safety, as well as our pride and confidence in the advanced technologies that we have been continuously refining for more than 85 years. The second paragraph embodies our spirit of challenge and the high standards we set ourselves. 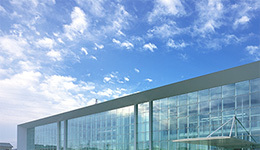 It shows our desire to contribute to society while striving to achieve new breakthroughs and generate new value. The final two lines express our objective and promise, proclaiming our desire to continuously bring delight and satisfaction to everyone who comes into contact with Akebono and our products. Akebono has incorporated CB Valuator, a corporate brand valuator model which measures the brand that was jointly developed by Kunio Ito, a professor at Hitotsubashi University and Nikkei Newspapers in order to realize efficient corporate brand management. The CB Valuator statistically analyzes corporate image and financial data and comprehensively evaluates and calculates the corporate brand which shows the results in the form of a CB score. In order to effectively increase how Akebono is evaluated, the target images were narrowed down to product & service quality is good and technological strength. 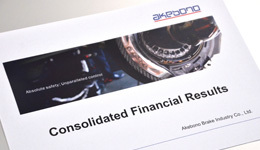 We hope to further develop the Akebono brand by increasing our corporate attractiveness and potential.